Last night Aaron had fallen asleep on the couch of the most disgusting Embassy Suites in America. Now the sun had been up a couple of hours and he hadn’t made a sound. I had been certain for about a week that something was going to prevent me from getting on my cruise ship that afternoon, and I started to wonder whether I could still make the ship if he had died. Would some kind of inquiry require me to stay on land? Or worse, some unfeeling bureaucrat keep me until just a moment too late to board. Eventually Aaron woke up and I told him what I had been thinking. He agreed that there was no reason I couldn’t have gone on the cruise if he had died. Our little party started to list the very small number of deaths that would prevent each of us from going on the trip. Generally the difficulty was logistical rather than emotional. 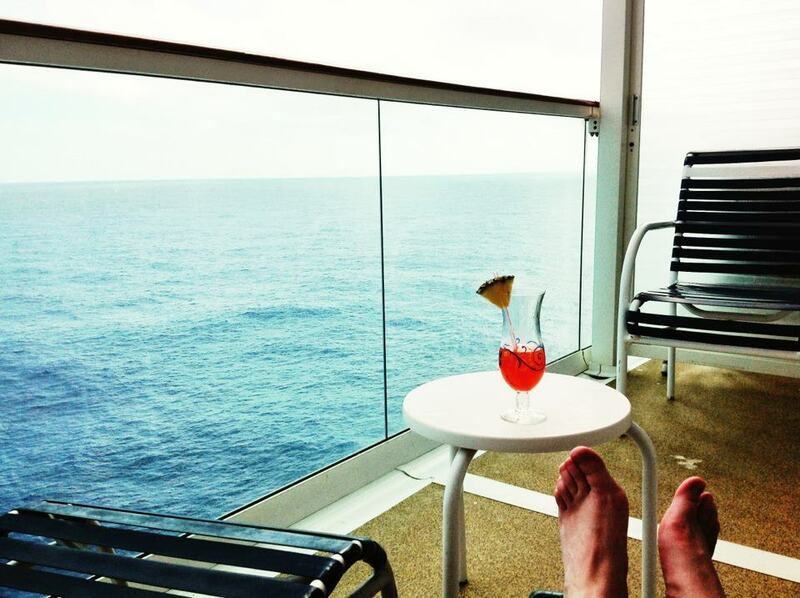 One can be sad on a cruise ship as well as anywhere, but one can’t refinance the mortgage. This kept the number of people who rated a canceled trip very small. My worries about not making the trip had begun a couple of weeks earlier when my cat had appeared ill. He has lived with me for 18 years; basic loyalty dictates that I not inconvenience him with petsitters or vet hospitals in his last days. I mentioned I might not have taken the trip if the cat had been ill. He might have even become ill earlier, and then I wouldn’t have known when he would die, and maybe I would have canceled the trip and then he would have died in time but it would be too late to change everything back to getting on the ship. So maybe I wouldn’t have taken the trip because my cat died. Aaron said it was fine if he didn’t rate canceling the cruise, but he shouldn’t be out-ranked by a cat. Actually, he said, a beggar in the street shouldn’t be out-ranked by the cat. Aaron has some Baptist training in theology and is currently involved with the Episcopal Church. He says lots of clever things but he doesn’t blog. And perhaps this is not the way it’s supposed to be. Perhaps I shouldn’t be making decisions like this. Although Aaron had to admit that losing his favorite t-shirt before the cruise affected him more than the death of an aquaintance. I am certain my cat out-ranks his t-shirt. 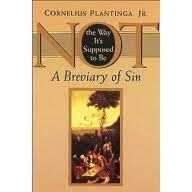 Corneleus Plantinga, Jr. introduces the topic of sin and titles his book with that comment, “Not the way it’s supposed to be,” taken from the movie Grand Canyon. Aaron will be discussing with me one chapter of this book per month, starting with chapter one in February. I’ll be doing the blogging. We invite you to join us, posting your discussion of these chapters in the comments or on your own venues, whether you have read the book before or are reading it for the first time. Written by loafingcactus with input from Aaron and originally published on loafingcactus’ Cactus Juice. This book came to my attention via a blog post on A Spirited Mind. Chapter 1 - Is sin a matter of conscience?